Versatile single-lever faucet with telescoping sprayer. 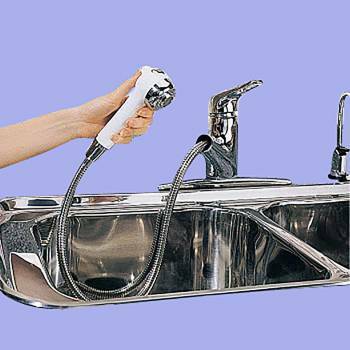 Has quarter-turn, washerless ceramic valves? 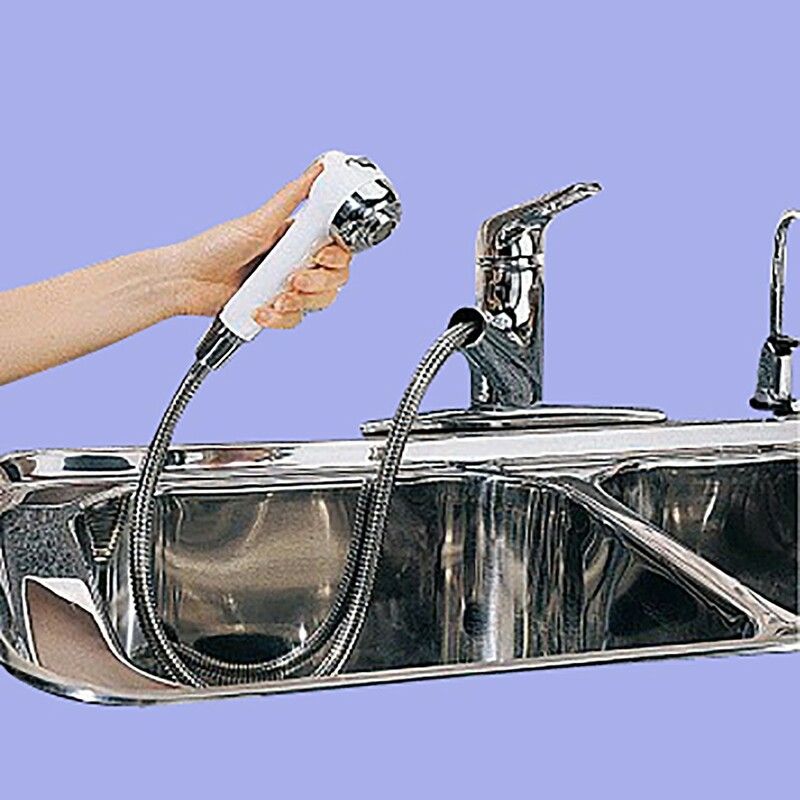 Includes a vacuum breaker to prevent back siphonage? Includes a sprayer with 4' of hose reach? Changes from spray to stream at the push of a button? Has attractive white porcelain lever handles? Has solid brass baseplates that won't move & never dent? 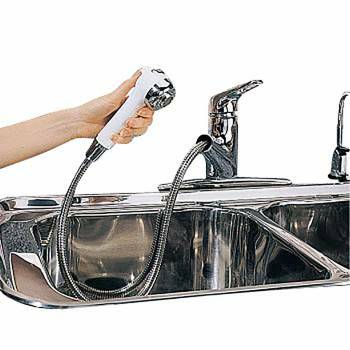 Kitchen Faucet: A perfect addition to the well-equipped kitchen, this chrome European-style faucet is armed with a combination sprayer/spout that has a 4' long hose for plenty of reach. The touch of a button provides either spray or stream settings. Ceramic washerless valves; vacuum breaker. With a 9 1/4" projection, it stands 6 3/8" high on a 10 3/8" long by 2 1/2" wide base plate.